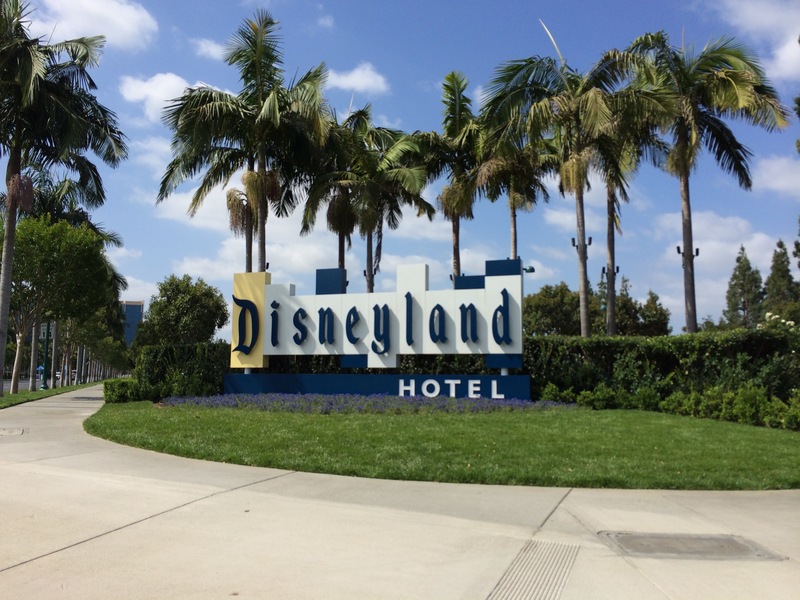 Preparing for a trip to the Disneyland Resort can be very stressful, especially since there are many different components to plan to ensure that everything goes smoothly. Planning a Disneyland trip can become second nature—just keep a few key things in mind when beginning your preparation. The following are my top five tips for smooth vacation planning. Find a hotel that is going to work best for your situation and book it early. You don't want to end up finding the perfect hotel, only to have it be completely booked when the time comes around for you to book it. One thing you know you need for any Disneyland vacation is a place to rest your head at night, so make this your first priority. The Disneyland Hotel front entrance. Photo by Megan Walker. There are three Disneyland Resort hotels and a number of Good Neighbor options surrounding the resort, so you will definitely have a lot of options when picking your hotel. The hotels also all range in price: you'll spend a lot more to stay on property for example, but there are lower-budget options around the resort that will make your wallet happy. Make sure to look at all of the different types of hotels out there and the variety of rooms they offer. If you're coming with a big group, for example, you may want some of the amenities that one hotel offers that another one doesn't (such as (suite-type rooms, free breakfast, and so on). If you're not staying on property, determine how far you're willing to walk. If you have young kids in tow, you might not want a long walk after a full day in the parks—but if your family is comfortable with walking long distances, you'll more options to choose from. Get your tickets ahead of time. You can easily purchase your tickets online, from your mobile phone, or from a retail outlet at home. The Disneyland website is a great place to review and purchase your tickets in advance. 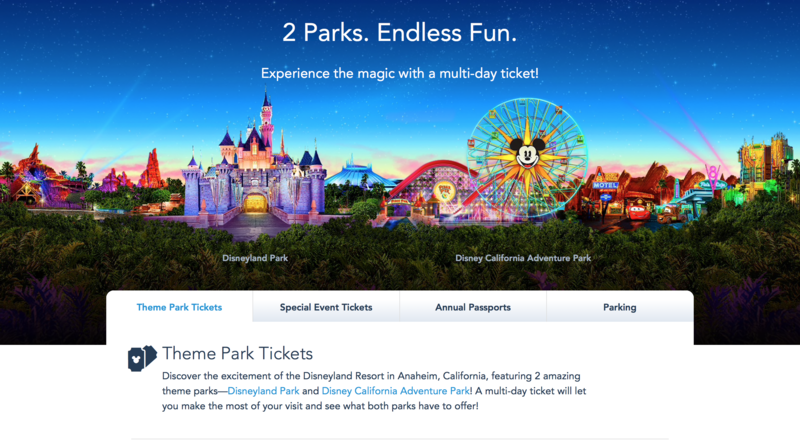 The website is really user-friendly and offers a really quick way to get your tickets before heading off to the parks. The other great part about buying your park tickets in advance is that you won't be wasting any of your valuable park time waiting in line at the ticket booths to buy them in person. The lines at these booths can get very long, and the last thing you'll want to do on your first Disneyland day is wait in a line before you even reach the front gates of the park. You can also buy your tickets day-of from your phone, so if you forget to get them ahead of time, still don't wait at the ticket booths, just go ahead and get them on your phone before heading the turnstiles! After a long day of running around the parks, the last thing you'll want to think about come dinner time is where and when to eat. It would also be a huge bummer to show up to your restaurant of choice only to find that they are only seating those with reservations due to how busy the parks are (which happens quite often). 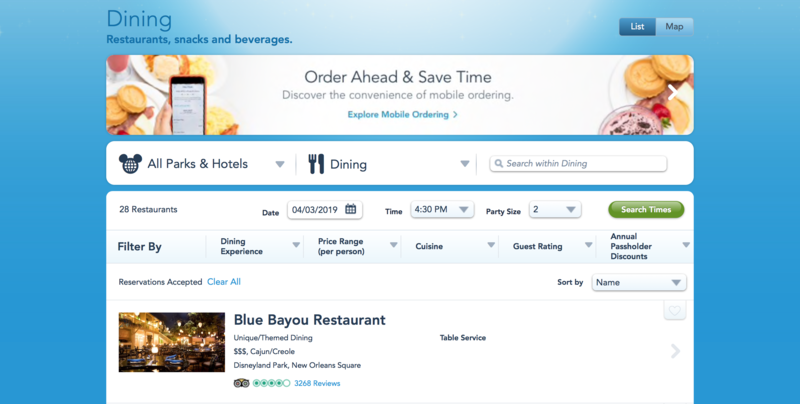 The Disneyland.com dining main page. Making dining reservations ahead of time is super easy to do, so as long as you sit down and take the time while planning your trip to make some reservations, you'll be good to go. 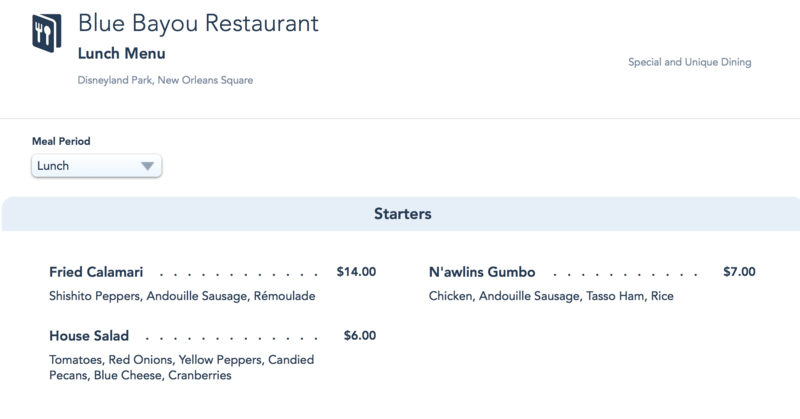 The Disneyland website is a great reference for each restaurant, you're able to read all about it, view pictures, and review the menu (and prices) before deciding on where to book a reservation. 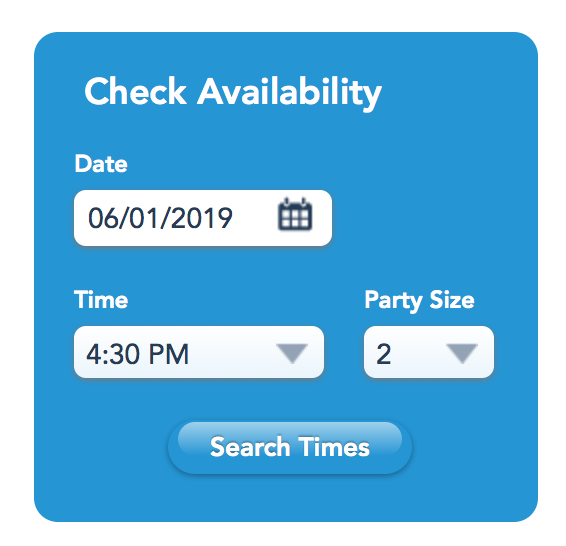 Then, you can simply look up availability and make your reservation right from the page. The Disneyland.com dining availability portal. I always take the time to make dinner reservations for each night I'll be visiting the parks ahead of time, it can be very refreshing to not have the stress of deciding when or where to have dinner each night, and it's nice to know you'll definitely get in with minimal wait, no matter how busy the parks are on any given day. 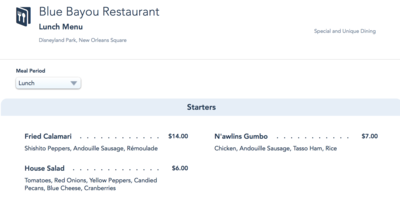 The lunch menu from the Blue Bayou restaurant at Disneyland.com. 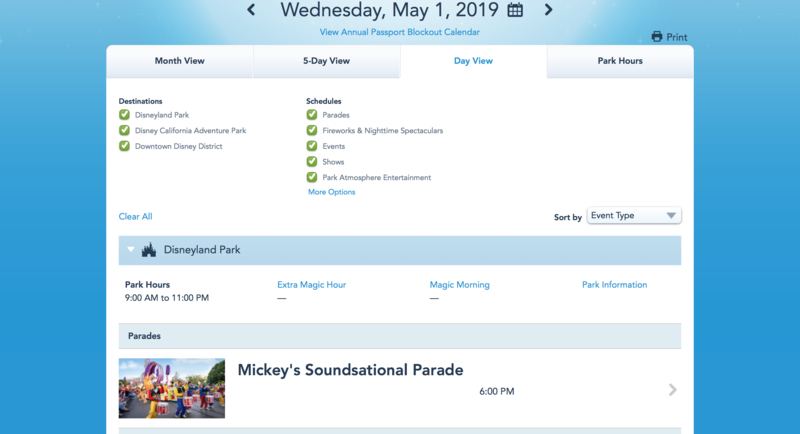 The Disneyland Resort website posts the daily schedule for both parks (and Downtown Disney) on their website well in advance, which is very handy so you can check it while working on your vacation planning and make a rough plan for your day. I find these helpful when vacation planning because you're able to look in advance and see what the park hours are, what time the parades and/or fireworks are at (so you can plan your dining reservations around them), what times the various shows will be happening at, and even which rides are scheduled to be closed that day. I like to jot down the times of shows, parades, and the fireworks that I might be interested so when I'm in the parks that day, I can plan what I'm doing around it; for example, if I know I want to see a parade at 2:00pm, I probably shouldn't get the 1:55pm Fastpass for Space Mountain, and so on. The newly updated Disneyland smartphone application is also a great resource for this although I do recommend having a backup schedule somewhere as the app is known to go down throughout the day when the parks get busy. 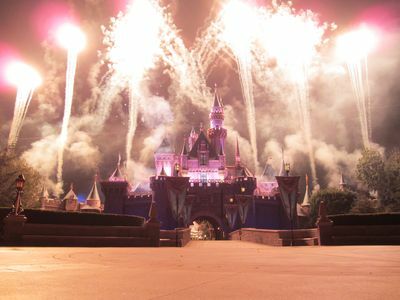 Disneyland fireworks. Photo by Megan Walker. The last and probably most important tip is simply this: be flexible. It's great to have a plan to fall back on, of course, but don't be surprised if parts of it start to fall apart; it just happens sometimes. Also, sometimes things just pop up spontaneously and you just have to go with the flow. You're at the Happiest Place on Earth after all and you'd have to work pretty hard to have a bad time. Going into your vacation knowing that things are probably going to shift and change around a bit is a great mindset to be in. When you're about to sit down and plan your next trip to the Disneyland Resort, don't get too stressed out. While there are a lot of different pieces of your trip to plan, it can be relatively painless if you're prepared. Once you get all of the individual pieces of your vacation planned out, you're ready to just relax until you get there and that's the best feeling of them all. Above all else, however, remember to just have fun…it is Disneyland after all!